Enterprises are no longer just a conventional chain of activities (nor are firms just a nexus of contracts). Rather, enterprises are now a nexus of co-creation platforms of engagements through which individuals exercise their agency in creating value together based on individual human experiences. The payoffs of building co-creative enterprises include greater creativity and productivity, lower costs, lower employee turnover, new business models, and new sources of stakeholder and enterprise value. In a truly co-creative enterprise, leaders at all levels must go beyond the conventional institution-centered “cascade and align” view of management to an individual-centered “engage and co-create” view. To do this, organizations must design and support engagement platforms for, and with, individuals that give them the opportunity to debate, discuss, and establish priorities and participate in more co-creative fashion. 1. Identify key stakeholders and increase their willingness to engage. Very often, in existing platforms of engagements, certain stakeholding individuals participate more intensively than others. People won’t wholeheartedly participate in co-creation unless it generates value for them, too. If something is not in their own self-interest, their willingness to engage is lower. The path to increased willingness can range from psychological motivations (greater job satisfaction, feelings of appreciation, higher self-esteem, etc.) to more economic motivations (higher earnings, the acquisition of skills, opportunities to advance, etc.) Further, it is equally important to think about stakeholders (individuals) who are typically not included, and how they could be engaged. Most business problems are complex, and their solutions are not obvious. To address them, people with a wide range of expertise and perspectives often need to come together to hear and see the issues firsthand and work on a resolution. Deciding up front who exactly should be at the table is not always easy. The best approach is to simply invite all interested entities to interact directly and to reach out to yet others along the way. 2. Set up platforms purposefully designed to engage individuals more co-creatively, with environments of interactions configured around people’s co-creation experiences. A platform of engagement is an assemblage of persons, artifacts, interfaces, and processes, whose design of engagements intensifies the agency of individuals in creating value together. Engagement platforms, whether entailing physical or online environments of interactions, must engage participating individuals, from the passionate to the sophisticated, and with varying skill levels. They must be purposefully designed to continuously generate a rich set of ideas, improve participant relations, enhance decision-making, and define-refine offerings through the tools in the platform. They must also help the communities in which the environments of interactions are enveloped see how the platform is valued and used. 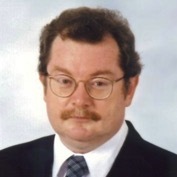 If data (whether hard or soft, structured or unstructured) is generated through the platform, individuals must be able to use the data to fashion a variety of novel, contextualized, and personalized experiences, while allowing the platform provider to continuously develop new experiential learning-knowledge-insights. A lot of business systems don’t actually help people share their co-creation experiences and develop an understanding of other key players’ problems and priorities. Often there is no mechanism to ensure that all the people potentially affected can conduct an active, explicit dialogue, and in a transparent, accessible manner. All those involved need to be aware of critical situations and understand each other’s concerns. If they do, they can work better together. As more empathic connections emerging, the meaningfulness of human experience also expands, reinforcing participation naturally. People’s actual co-creation experiences must be continuously utilized in redesigning interaction environments for more effective joint creation of value. As the intensity of value creation increases, with more intentional, creative, and transformative engagements, the scope of interactions allowed by the platform will also increase, allowing the co-created outcomes resulting from the platform to be more valuable to stakeholding individuals. 3. Identify and support new co-creation champions. The ability to scale co-creation transformation enterprise-wide and in the ecosystem in which it operates depends upon identifying and supporting new champions in enabling change in different, but related, parts of the enterprise ecosystem. 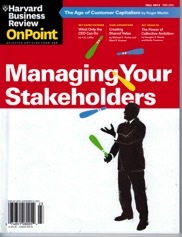 This means that senior management must pro-actively encourage and seek co-creation leadership in different functions of the organization, as well as work closely with senior management in stakeholder organizations, to help nurture a co-creative mindset, and co-creation thinking as a way of life. This requires challenging and mutating the “organizational DNA” toward more joint innovation and designing of management systems through engagement platforms that allow co-creation champions and stakeholding individuals to co-evolve the change together. 4. Expand the circle of stakeholders and joint value creation opportunities. Effecting ecosystem-wide change, by its very nature, requires expanding the circle of stakeholders. But very often, in doing so, new opportunities are revealed and co-discovered. In the case of digital platforms, opening up the applications programming interface (or API) is a classic example of generating new joint value creation opportunities. 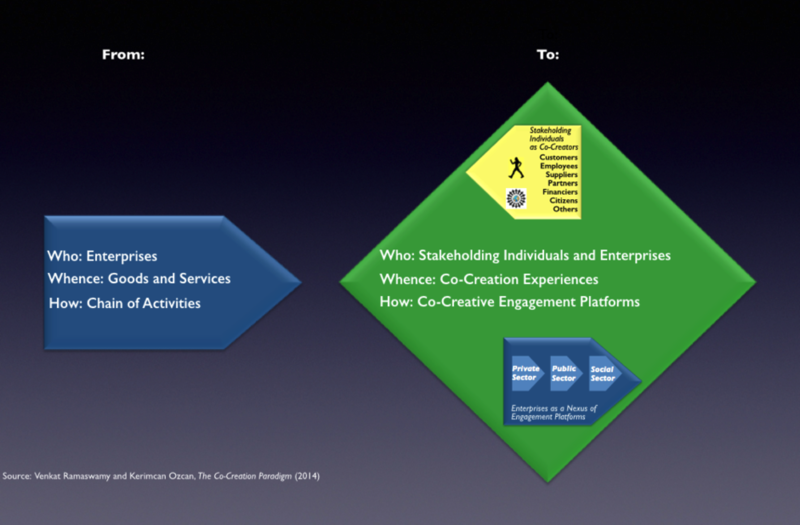 In the case of physical platforms, bringing together new sets of stakeholders and communities together that have typically not engaged jointly before can create new co-creative capacities in the enterprise ecosystem. Further, as the Internet of Things extends the web into more and more everyday objects, giving them the ability to connect to data networks, interoperate with other objects and intercommunicate with other entities, the opportunities for joint value creation expand accordingly. 5. Deepen the impact and enable the viral spiral of “win more-win more” value creation in the enterprise ecosystem. On the one hand, co-creation platforms of engagements are embedded in stakeholder experience domains in the communities served by enterprises. On the other hand, the domains of individual experiences are, in turn, embodied in the communities to which they belong, with their social, business, civic, and natural facets. Hence, it is very important to pay close attention to effectively meshing together co-creative capabilities in the enterprise ecosystem to deepen impact and enable the viral spiral of win more—win more value creation in the enterprise ecosystem. This requires linking together platforms and their environments of interactions across value chain activities in the enterprise ecosystem, in inclusive and generative fashion. Technology not only helps to make social-business-civic-natural communities ecosystems more generative and linkable, but can also help to make them more and more inclusive. Ultimately, interactive and experience-based technology holds the key to spiraling value across the ecosystem. 6. Engage stakeholders across private, public, and social sectors to expand wealth-welfare-wellbeing for the benefit of all. At the heart of the co-creation-based view of economies and societies is the impulse for “becoming.” Whether as customers, employees, managers, financiers, partners, or citizens in communities, every stakeholding individual can bring capital to the value creation process through their “value creative capacities” and, in doing so, become a co-creator. As individuals’ and enterprises’ joint interests expand, they create value together through a multitude of channels and interactions. Jointly building co-creative capacities of enterprise ecosystems, through convergent engagement across the private, public, and social sectors, not only expands value creation possibilities in an enterprise’s own self-interest, but simultaneously expands wealth, welfare and wellbeing for all. 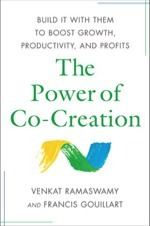 See: Venkat Ramaswamy and Kerimcan Ozcan, The Co-Creation Paradigm (Stanford Business Books, 2014). Any enterprise seeking to migrate to co-creation with its customers, partners, and other external stakeholders should begin by examining the nature of the relationship between management and all the co-creators during the transformational change. Establishing co-creation as a way of organizational life requires challenging and mutating the organization’s DNA toward co-creation thinking, by innovating and designing engagement platforms that allow everyone to create the change together. Following the principles of co-creative engagement design, the co-creativity of enterprises are a function of purposefully designed engagements from within an organization that harness the personal and collective intelligence of individuals. After decades of experience with organizational change and jump-starting innovation, it has become abundantly clear to change agents that successful transformational change is best achieved through engagement with those it affects. 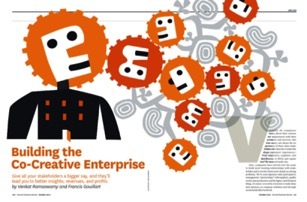 The best way to build co-creative enterprises is to co-create the transformational change. Venkat Ramaswamy and Naveen Chopra. 2014. 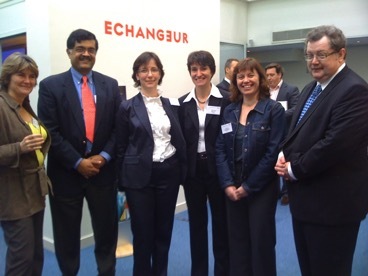 “Building a Culture of Co-Creation: at Mahindra.” Strategy and Leadership 42 (1): forthcoming. Learn more about Mahindra Rise thru Co-Creation. 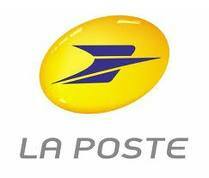 Transformation of La Poste Retail post offices in France -- enabled by The Experience Co-Creation Partnership. Ramaswamy, Venkat and Kerimcan Ozcan. 2012. "CEOs Must Engage All Stakeholders." Harvard Business Review OnPoint (Fall): 10-11. 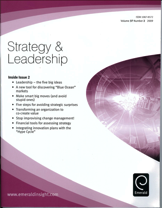 Part Two of an Interview in the Special Issue of Strategy and Leadership on Understanding and Implementing Value Co-Creation, on the Tenth Anniversary of The Future of Competition. Ramaswamy, Venkat and Andre Coutinho. 2013. 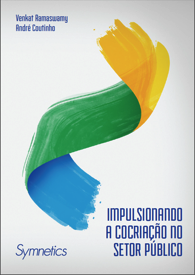 "Impulsionando A CoCriacao No Setor Publico", Symnetics Report (May). Transformational Change of Institutions through Co-Creation With Stakeholders. Transformation of Credit Agricole - Predica Insurance in France -- enabled by The Experience Co-Creation Partnership. Ramaswamy, Venkat. 2009. "Leading the transformation to co-creation of value." Strategy & Leadership no. 37 (2):32-37. Winner of the Emerald Literati Award for Outstanding Article. Ramaswamy, Venkat, and Francis J. Gouillart. "Building the Co-Creative Enterprise." Harvard Business Review no. 88 (10):100-109, 2010.